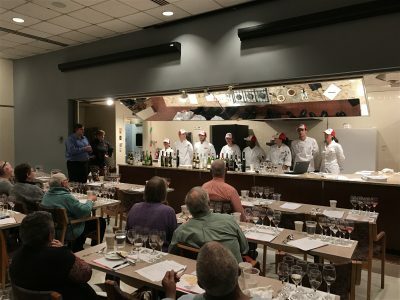 March 2, 2017: “Discover Navarra….Discover Your Style of Wine” – a food and wine demo presented by Chef/Owner Deborah Hansen of Taberna de Haro and April Cullom at Boston University Food & Wine Studies. 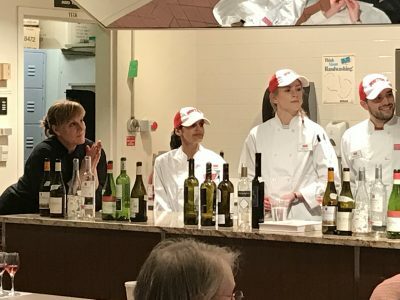 Guests from the culinary and wine studies classes, importers, retailers and journalists enjoyed a 4-course meal prepared by the students at Boston University’s culinary program with the instruction of Chef Hansen which were paired with 14 wines from Navarra. Not only did the guests learn about the D.O. 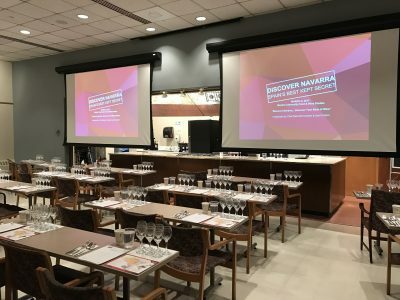 Navarra and its diverse terroir and climate but also about the range of styles of wines found in the region, allowing guests to discover their style of wine and to better understand what their style of wine is and why.